This must have been the most painful moment of Robert Whittaker’s MMA career. 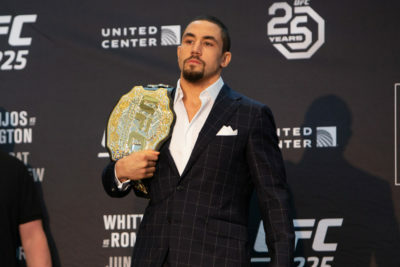 Hours before he was set to defend his UFC middleweight title against Kelvin Gastelum, Whittaker was forced to pull out of the UFC 234 main event due to a hernia. The hernia caused his bowel to collapse as well, and he was forced into surgery. 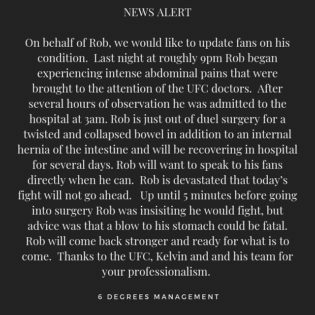 Below is the first statement released from the champion and his team.